Patrick Braxton-Andrew, 34, never returned to his hotel after taking a walk on. A North Carolina teacher who disappeared in Mexico last month has been found shot to death on a dirt road, according to Mexican officials. Patrick Braxton-Andrew, 34, never returned after leaving his hotel in Urique, a municipality in Mexico's northwestern state of Chihuahua, on Oct. 28, the hotel owner told his parents, according to a Facebook post his father wrote on an alumni page for Braxton-Andrew's alma mater, Davidson College. Braxton-Andrew's body was found about a mile away from the road leading to the village of Guapalayna to Las Lajas in Urique, according to a press release by the Chihuahua state government. The area had already been searched, so officials believe his body was placed there. His body had traces of reddish dirt and pine leaves, but had been placed on a stony surface in an area that lacked vegetation, officials said. 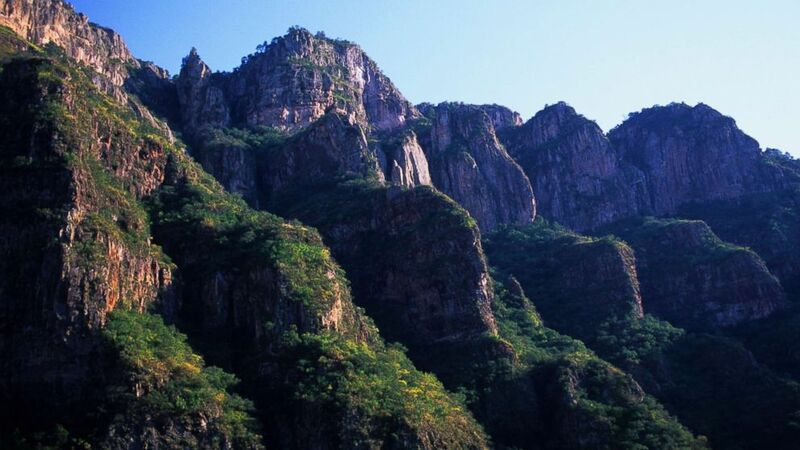 (STOCK/Getty Images) A stock photo of Copper Canyon National Park in Chihuahua, Mexico. Autopsy result showed that Braxton-Andrew died from a gunshot wound to the head, according to the release. Local authorities are continuing to investigate his death. The state's attorney general's office told ABC News last week that investigators found a blood trail during the search and his family had submitted DNA to perform a test. 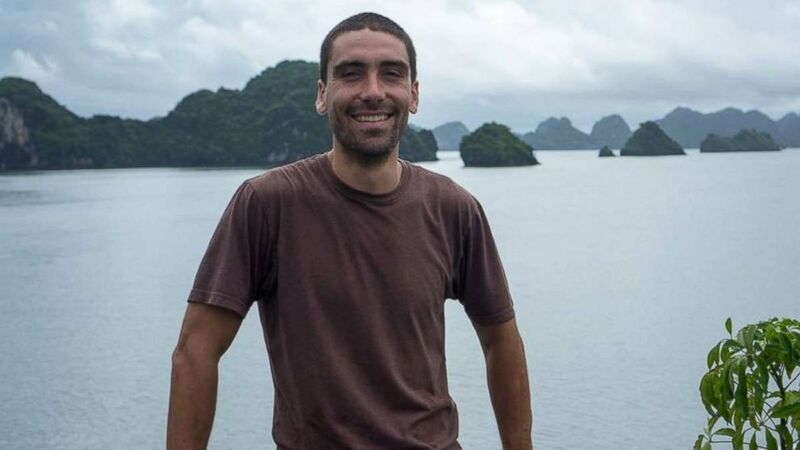 (Missing Patrick Braxton-Andrew/Facebook ) The family of Patrick Braxton-Andrew, the 34-year-old North Carolina teacher who went missing in Mexico, has created a Twitter account and Facebook group in an effort to locate him. Last week, Javier Corral, the governor of Chihuahua, wrote that Braxton-Andrew had been "assassinated" at the hands of drug trafficker Jose Noriel Portilo Gil, known as El Chueco. Corral described Braxton-Andrew as an innocent victim who suffered the misfortune of crossing paths with El Chueco. Over the weekend, the family wrote on Twitter that it was "a sense of relief" that his body had been found and that they would soon be able to bring him home. Braxton-Andrew's parents last had contact with him at 2:51 p.m. on Oct. 28. He was supposed to meet his brother in Mexico City two days later but "did not show up," his father wrote in the Oct. 31 post. He had left North Carolina for Mexico on Oct. 24 and boarded a train toward Cooper Canyon National Park the next day before arriving in Urique on Oct. 26 or Oct. 27, according to the family. (Google) Woodlawn School in Mooresville, N.C.
Braxton-Andrew was an eighth grade Spanish teacher at the Woodlawn School in Mooresville, a private school for kindergarten through 12th grades, according to the school's website. He had previously worked for the Davidson College study abroad program in Peru, his biography stated. He was fluent in Spanish and traveled to Central America "regularly," his family said. Braxton-Andrew was believed to have been hiking at the Copper Canyon National Park, ABC North Carolina affiliate WSOC reported.